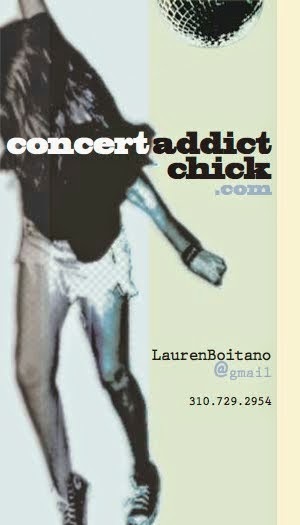 CONCERT ADDICT CHICK: It's Coachella Time!!! My summertime clothes are packed & I leave for the desert in less than 3 hours! This will be my 7th Coachella in a row & I'm more excited than ever! I can't wait to see the new main stage setup as well as the new crazy light installations inside the Sahara Tent! This year's lineup is beyond impressive AND I'm camping for my 1st time ever (at Coachella) which should be interesting in 95 degree heat. I'm ready for it though! Keep an eye out for my Coachella 2011 post early next week!